Brownfield sites have many and varied installed services and utilities under the ground. Obtaining accurate information about the location of these is a necessity before starting any excavations. It is the full responsibility of every company or person to verify the drawings from the utilities and avoid damaging existing services. The DIGICAT 100 digital underground service locator has been designed to meet the stringent, and ever more complex, requirements of today’s tracing operations. Many of the vital safety features built into DIGICAT 100 are rarely found in similar priced units from other manufacturers. 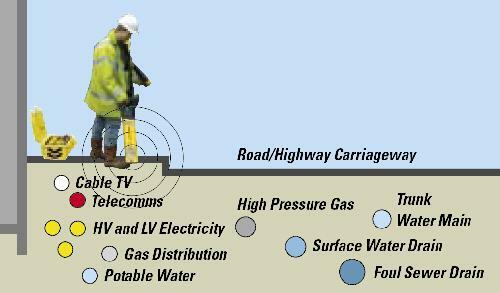 The DIGICAT 100 can be used to find live (energised) power cables, trace buried metal services which reradiate signals, and with the DIGITEX 8/33 signal generator via specific tracing frequencies give highly accurate results. 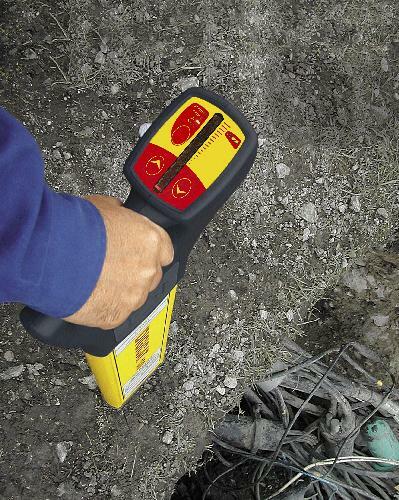 The DIGITRACE service tracer allows tracing of plastic ducts, clay drains and other non-metallic conduits. Local legislation normally prescribes the use of a locating device before any kind of excavation takes place. But even so, it makes perfect sense to search, trace and mark the line of all services before digging as damage of services can have extreme personal injury and financial consequences.